In early 2014 the powers-that-be at the Friends of the Mountains-to-Sea Trail are expected to announce a sweeping new re-route of their 1000+ mile long cross-state continuous trail. The reroute extends hundreds of miles between the east side of Raleigh all the way to the Newport-Havelock area of Carteret County near the ocean. 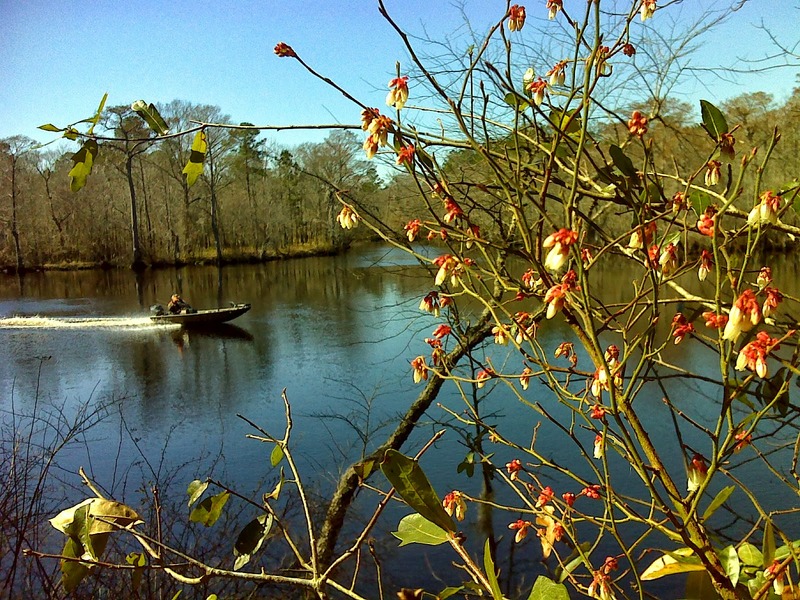 Formerly it was hoped that the trail would be able to follow the Neuse River all this way, but a tangle of issues, including lots of private ownership of land along the waterway, have stymied those efforts. 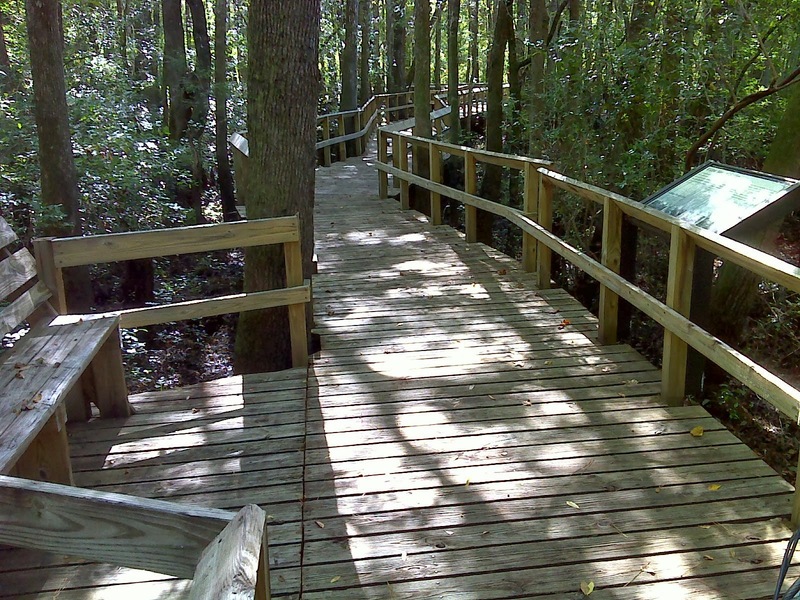 The new route makes a sweeping curve along the ecologically diverse and geologically fascinating section of North Carolina called the Cape Fear Arch. 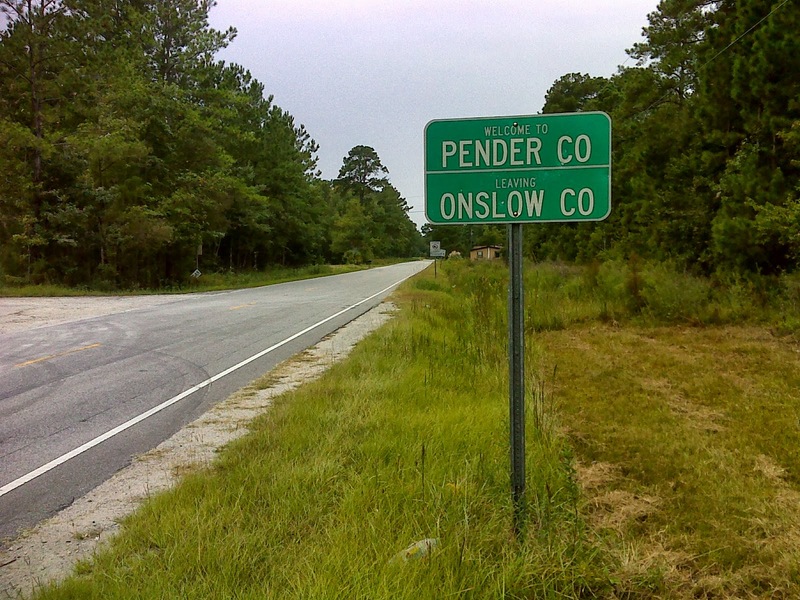 Because I live nearby, I volunteered to do some scouting of this new route, and this is a report of some of that scouting: the portion of the re-route that takes the trail east-west across the heart of coastal Pender County. 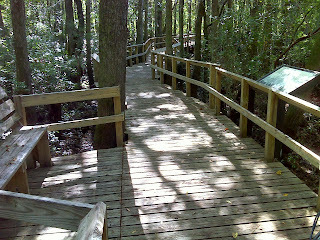 It's flat country, a mix of marsh, pocosin, and slow moving streams, pine forests owned by timber companies, private agricultural land, geologically curious elliptical lakes called bays, and a good string of publicly owned game lands, state forests and parks through which off-road trail can eventually be threaded. 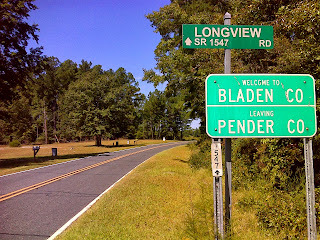 Through Pender County, the highlights that the trail visits are several: The huge Holly Shelter Game Land and adjacent Shaken Creek Preserve, Moore's Creek National Battlefield Historic Park - one of the smaller units of the National Park Service - and the Northeast Cape Fear River. On this blog I've already reported on my scouting of a slightly longer alternative routing for the MST through eastern Pender and western Onslow Counties that I think would add tremendous value to the hiker's experience at the expense of a few added miles -- for more about this alternative, look to previous posts with the Mountains-to-Sea Trail label. 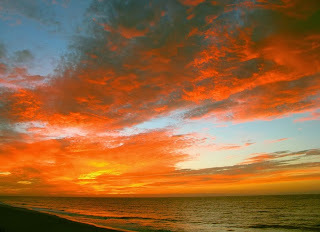 Example of the kind of sunrise the hiker might experience on the Pender County beach walk - the entirely unofficial alternate route that I'm lobbying for. 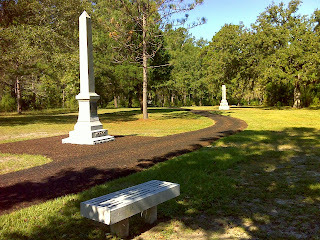 This was taken the same day I visited Moores Creek Battlefield. 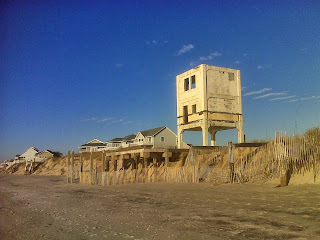 1946 vintage rocket launch observation tower, part of the beach-walk scenery if the MST chooses my alternate route. This entirely unofficial suggested route adds a soundside half-mile boardwalk, the historic Surf City Swing Bridge, one of the 1940's Operation Bumblebee rocket observation towers, the Surf City Fishing Pier and an 8 mile beach walk to the Pender County highlights. I'd love to see this chosen as the ultimate route. 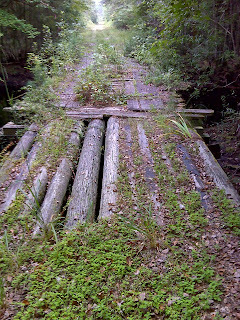 With the exception of the Holly Shelter/Shaken Creek traverse on seasonally gated dirt roads (and a couple of bridges that I would not trust for anything bigger than an ATV - see above), the majority of the route through Pender County follows paved rural roads and a few more heavily used highways. 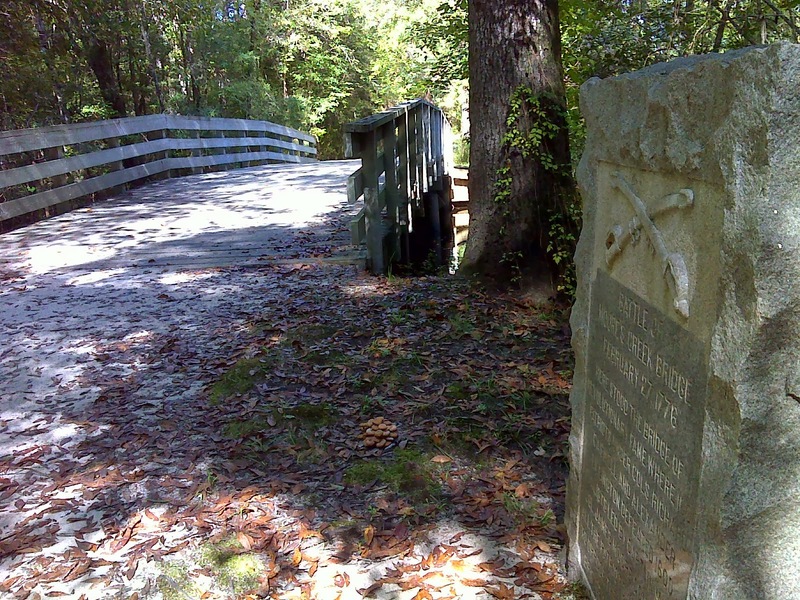 Even passing through Moore's Creek Battlefield, the hiker remains on NC 210 and would have to take a detour in order to enjoy the mile-long 'History Trail', which includes a boardwalk, and crosses the reconstructed old bridge itself. 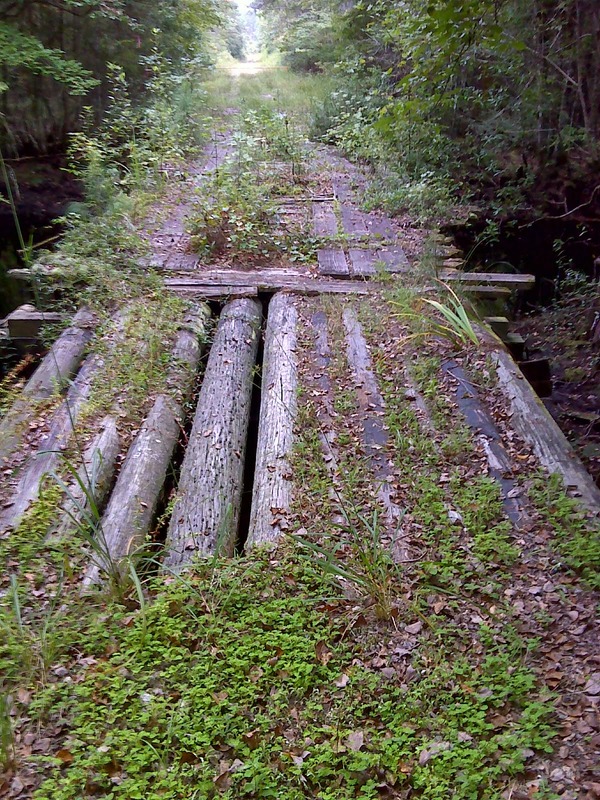 But there is potential for a reroute that would swing the MST through the park, out the back and then return to NC 210 via Battleground Rd., giving the hiker a much more varied experience. Similarly, there is a small loop off Shaw Highway along the gated River Road to the boat launch ramp that follows right beside the NE Cape Fear River for a mile of serene trail walking. This is all public land and, though it adds a mile to the dreary eight miles of road walk along straight, flat Shaw Highway, it's well worth the detour. For a full report and slide show specifically about that leg of my scouting see this blog post. 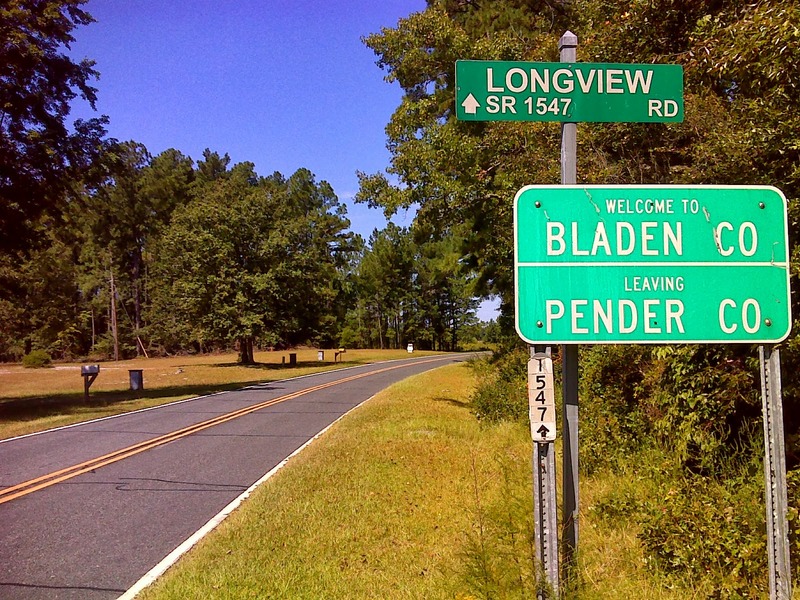 Farewell to Pender County, passing west into Bladen Co. on a country road that changes name at the line.